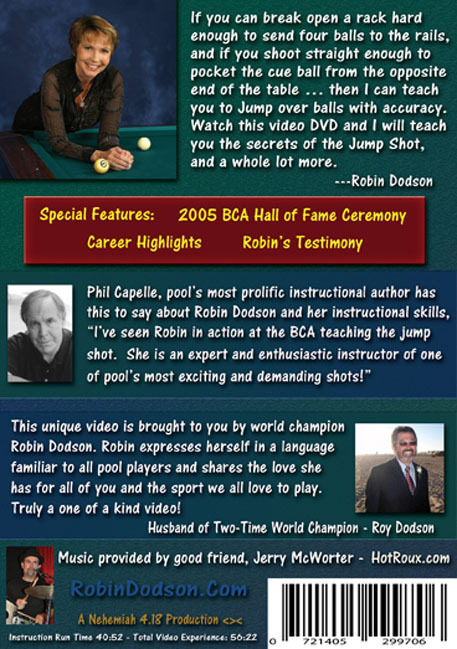 TWO-TIME WORLD NINE BALL CHAMPION & BCA HALL OF FAMER PRESENTS "MASTERING THE JUMP SHOT!" Pool players have long wanted the secret to the amazing jump shot and now that secret is out! 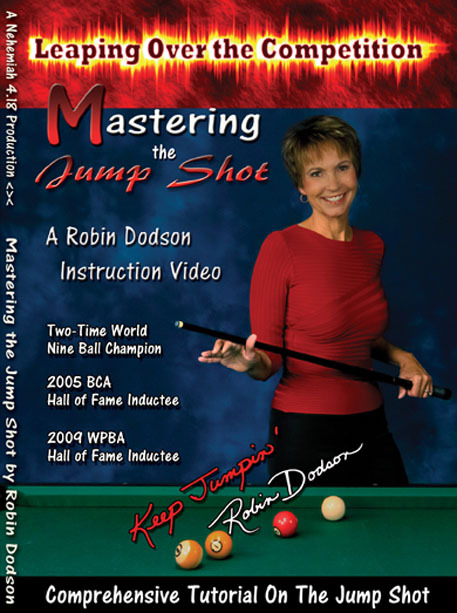 Robin Dodsons highly anticipated DVD, "Mastering the Jump Shot," has exploded onto the billiards instructional market. Robin shares memories from her long & storied career along with photos and music. Whether you are a novice or a seasoned player, your game will definitely improve with the knowledge Robin offers on the jump shot. Whether your opponent hooks you or you get a bad roll, mastery of the jump shot will win games, matches & even tournaments for you! "Mastering The Jump Shot" is definitely a "must have" DVD and an invaluable addition to your billiard library.